Initially, the Chilean government considered nuclear energy due to its relatively clean nature and the minimal amount of uranium required to produce a substantial amount of energy. Compared to coal and other fossil fuel technologies, nuclear energy at first was considered the preferred option not only because it would reduce dependence on foreign oil, but also because uranium can be found in a variety of reserves. In other words, it would increase the security of the country’s energy supply. Additionally, greenhouse gas emissions from nuclear energy are comparable to those from wind and solar energy, making nuclear power a more desirable and environmentally progressive option. However, given the recent nuclear disaster in Fukushima, Japan, and Chile’s vulnerability to earthquakes, concerns surrounding the safety of nuclear power sources limit support for the technology. Growing urgency to take advantage of new, non-nuclear energy sources compelled Chilean President Sebastián Piñera to approve a USD 3.2 billion project in May that would construct a series of dams to harness hydroelectric power. Included in the plan was a proposal to build five dams along the Baker and the Pascua Rivers in the country’s pristine southern region. According to the President, the project was considered to be “key to the country’s continuing economic development.” HidroAysen, the company hired by the government to erect the dams, enthusiastically agrees with Piñera. The company claims that harnessing energy from the dams would be a “cost-effective, sustainable, reliable, and ecologically viable” solution to Chile’s increasing energy demand. The potential energy production capability of the proposed dams is considerable. In fact, dams built under this project would “generate 2.75 gigawatts of electricity, nearly a third of central Chile’s current generating capacity.” Despite the advantages associated with hydropower, an immediate backlash of protests erupted across the nation in opposition to the proposed project. Environmentalists are outraged by the proposition to build the dams, especially given the proposed locations of the five dams. Patagonia is a unique ecological region in Chile, composed of fragile ecosystems that contain a multitude of diverse and endangered species. In order to construct the dams in this area, forests must be clear-cut. Moreover, the displaced water from the dams would flood approximately 14,000 acres of wilderness surrounding the rivers. According to those in opposition to the project, such extensive and severe destruction of this important national biome calls into question how much consideration was given to less environmentally destructive forms of energy production. 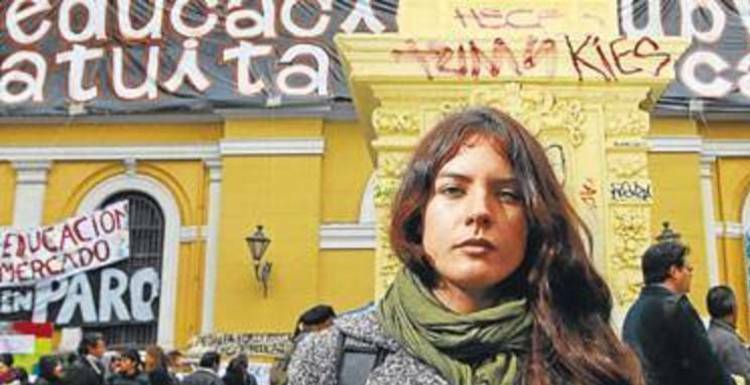 Giorgio Jackson, a student leader in Chile, has been outspoken in protesting the construction of the dams; he argues that the debate between “development or environment” is based upon a “false question— it’s not one or the other. We can advance while saving energy.” Another concern is the potentially negative impact that these dams could have on tourism. Waterfalls, whitewater rapids, landscapes, and other natural attractions draw an array of visitors to Patagonia year-round. 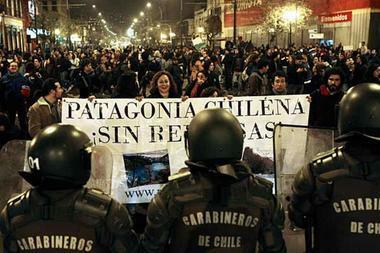 The dam construction would undoubtedly jeopardize this sector of the Chilean economy. The vehement nature of these protests indicates the magnitude of criticism the President has received for his hasty decision to approve the project. Since the project’s suspension, protests have subsided substantially. However, there is still conversation surrounding the government’s intentions to heed the court’s orders. Many speculate the project will go ahead as planned. According to Mario Galindo, a lawyer defending the project, the ruling is “purely formal … there are no decisions about the legality or illegality” of the dam project itself. Whether the project eventually launches, or is prevented altogether, Chile’s energy demands remain of great concern and the debate surrounding its energy production options will continue. This piece is part two of an ongoing series on Dams in Latin America. 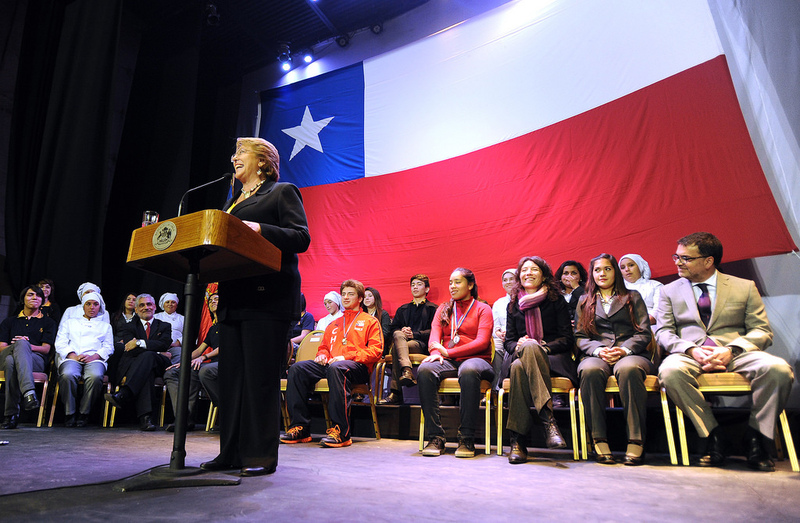 Chile: The Midlife Crisis of Michelle Bachelet’s Second Term. Are Bachelet’s “Policies that Change Cultures” Reaching Their Premature End?